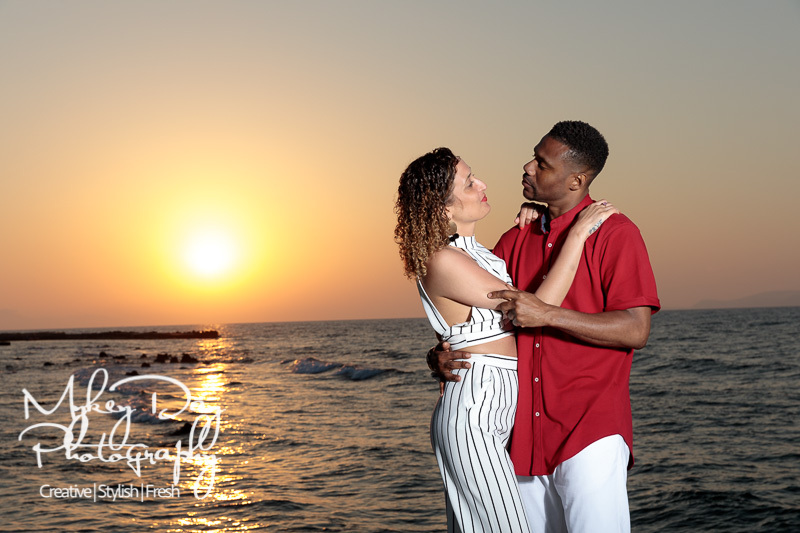 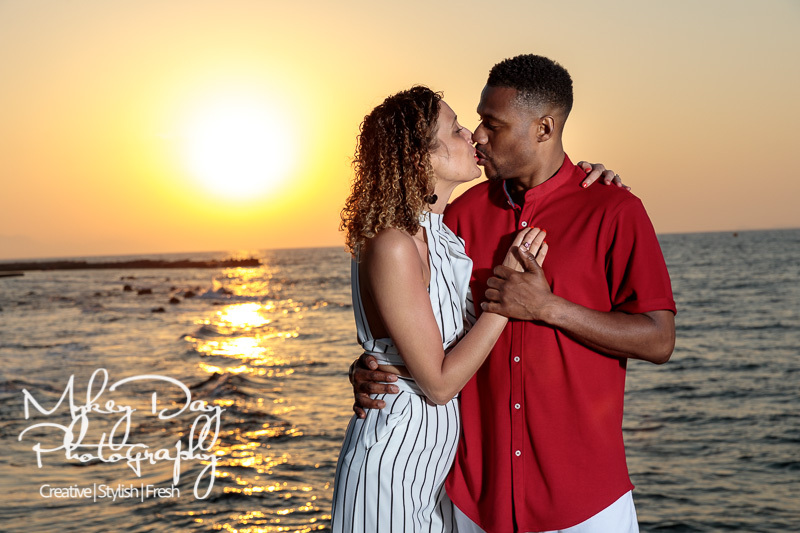 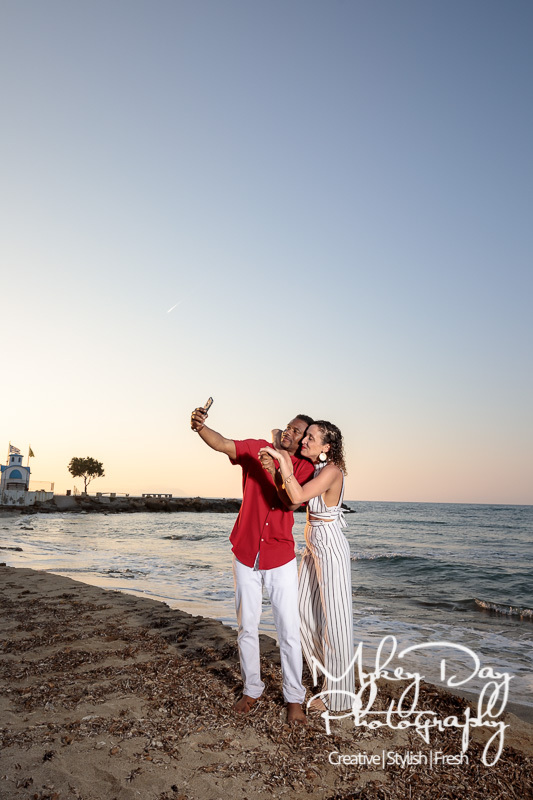 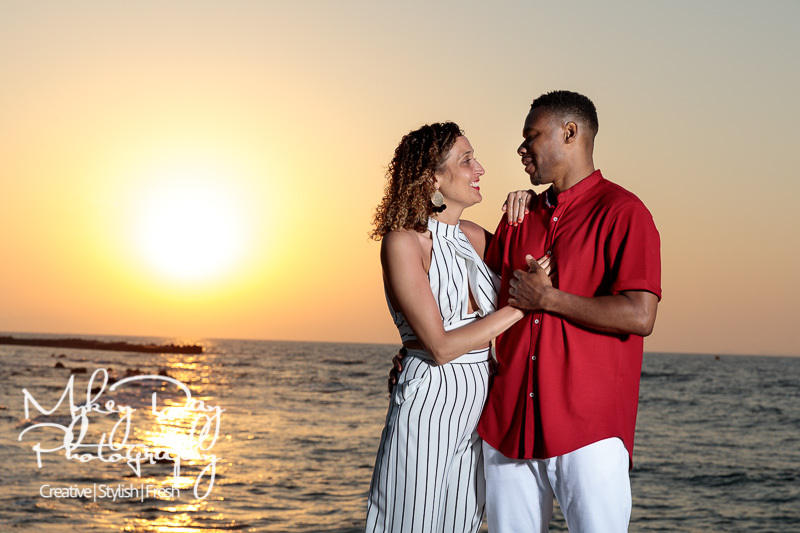 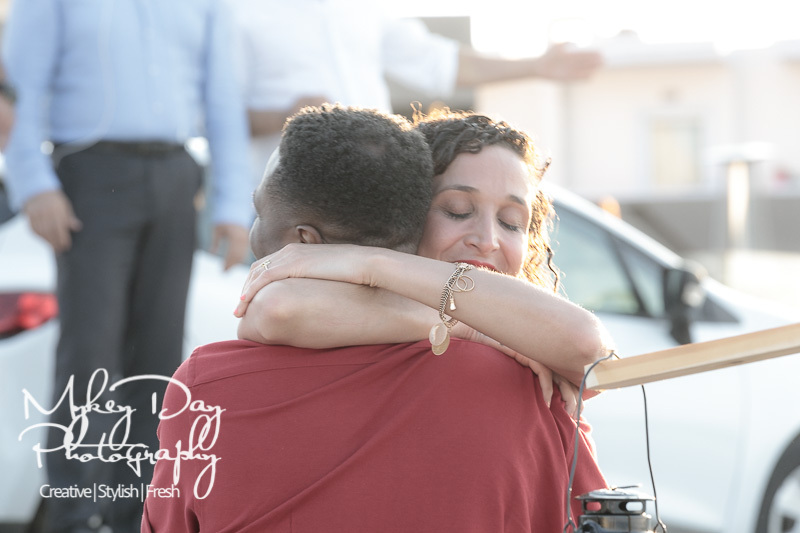 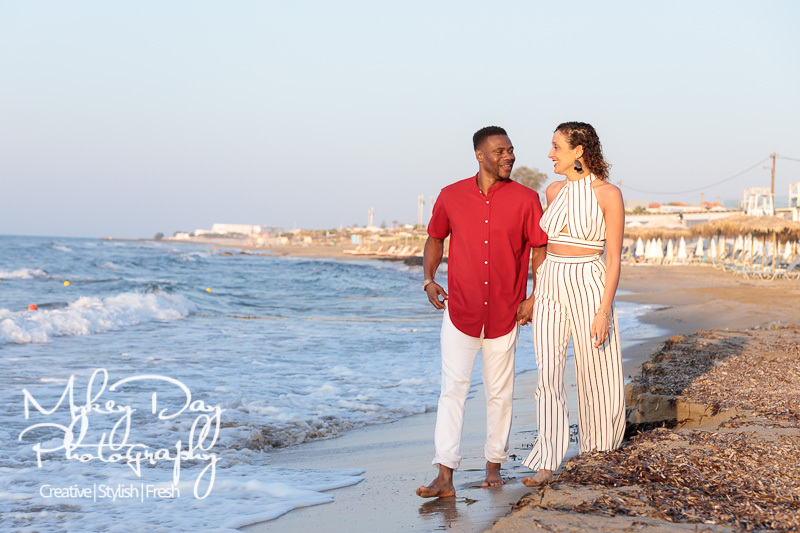 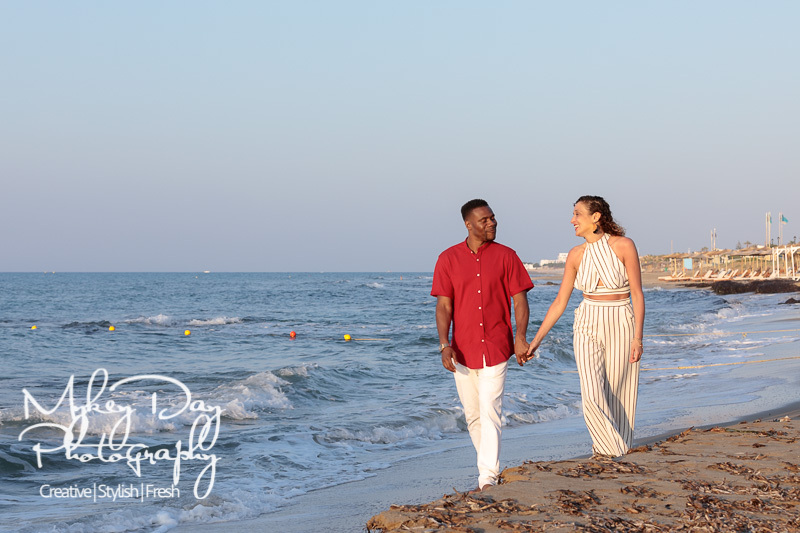 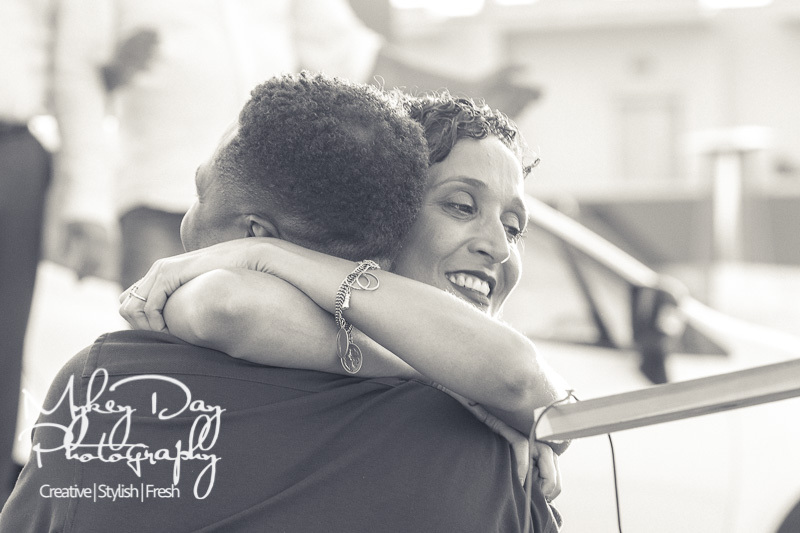 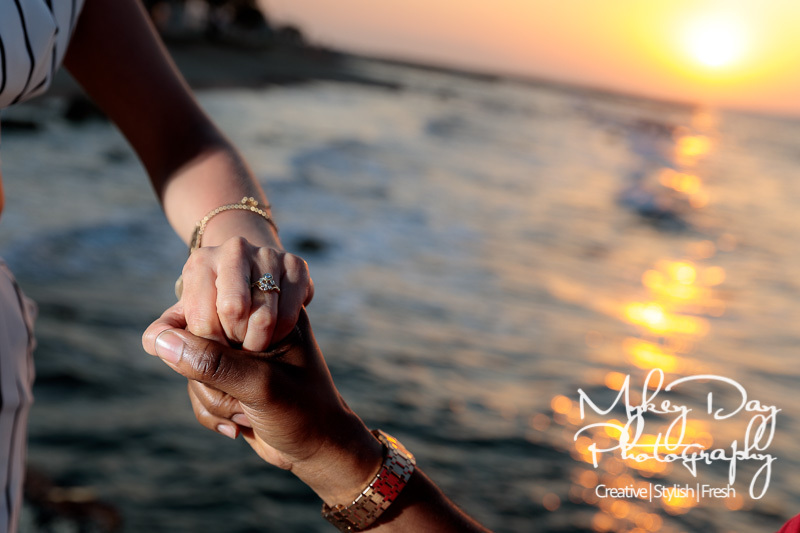 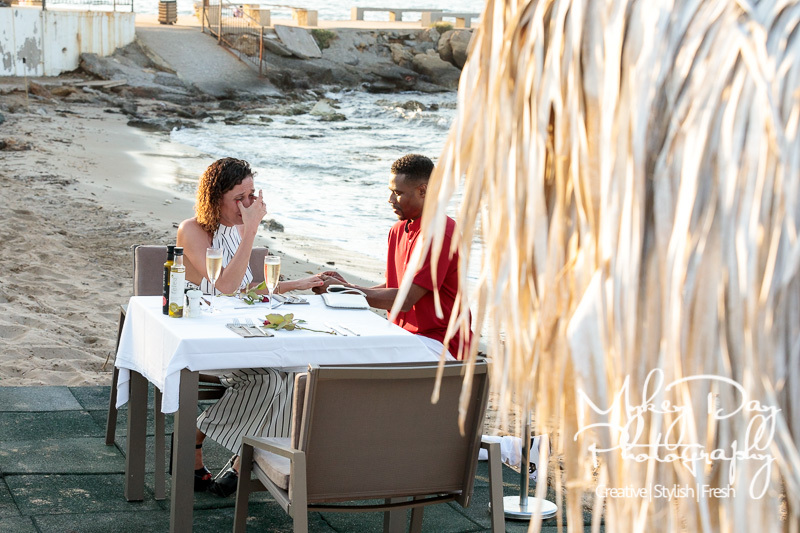 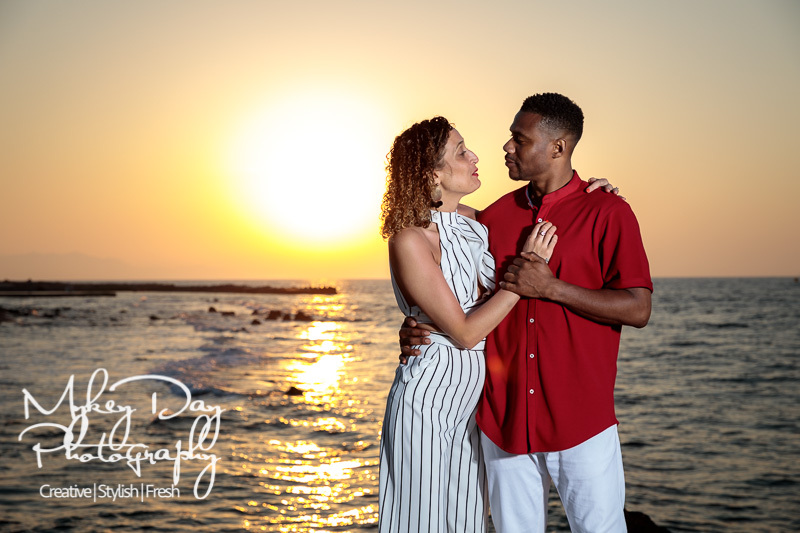 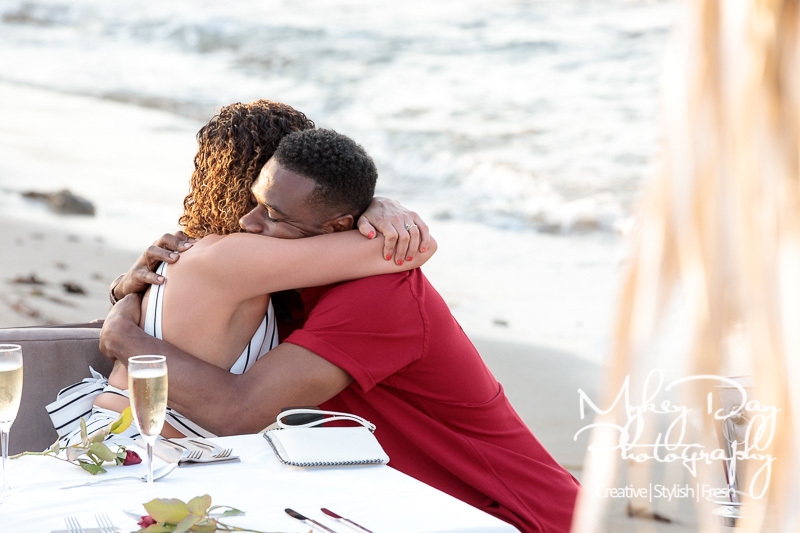 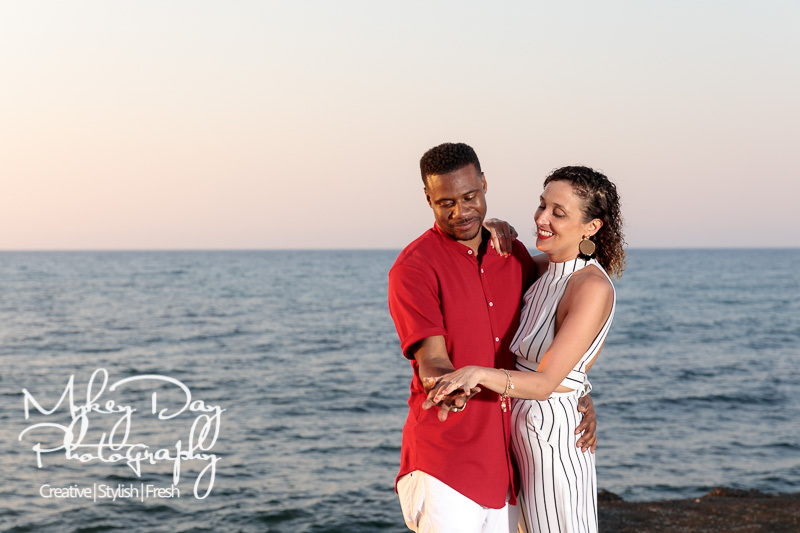 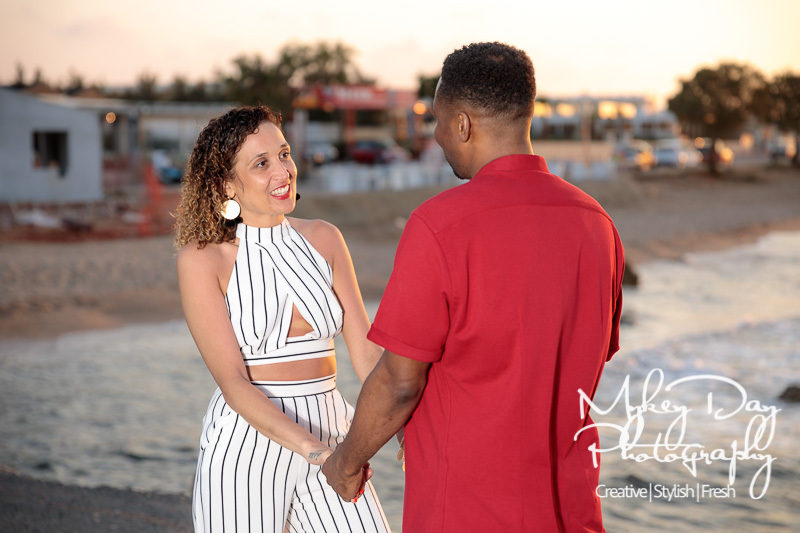 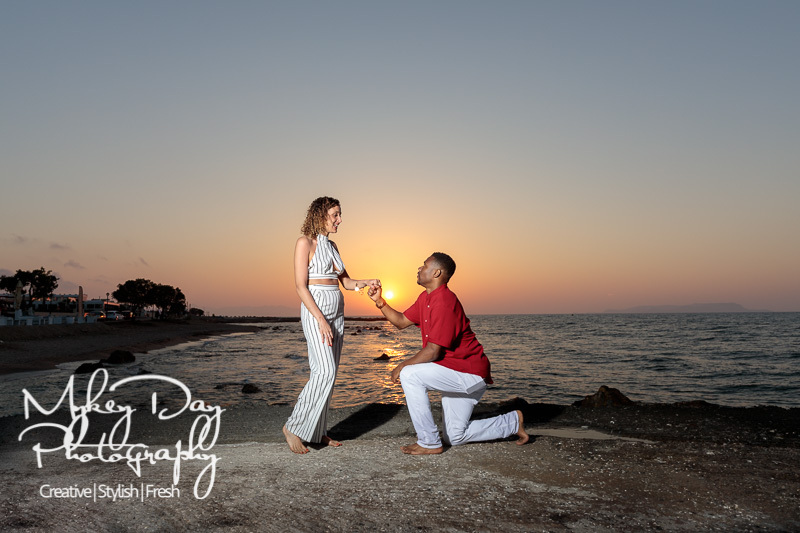 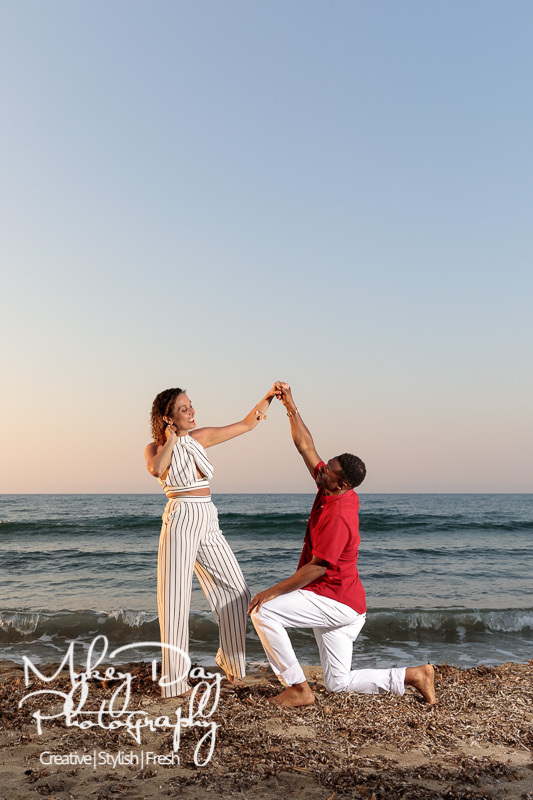 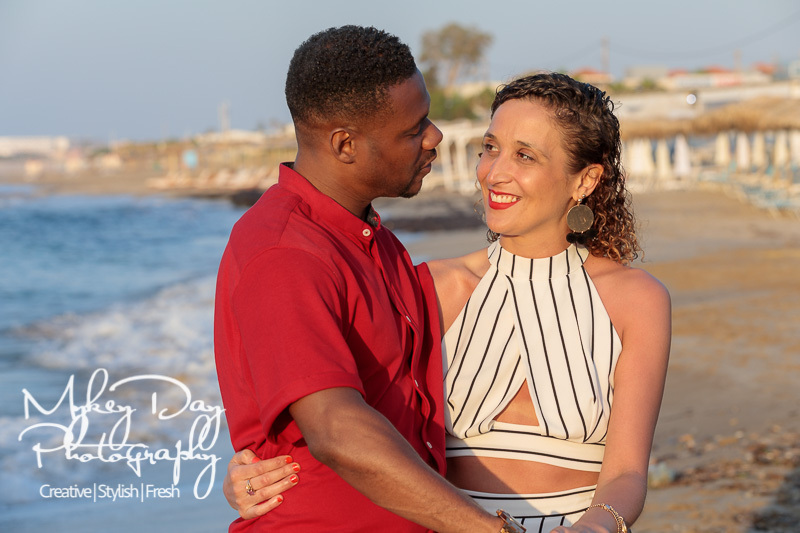 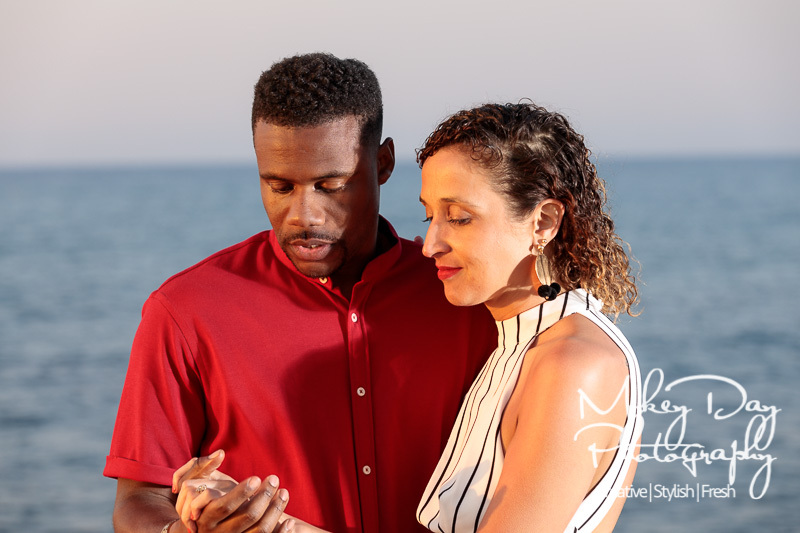 We’re no strangers to shooting engagements sessions abroad, having shot pre-wedding photos in Malta, Rome, Cyprus and beyond… But this was a new and exciting challenge for us with Denzol’s surprise marriage proposal to long term partner Priscilla on the beautiful island of Crete. 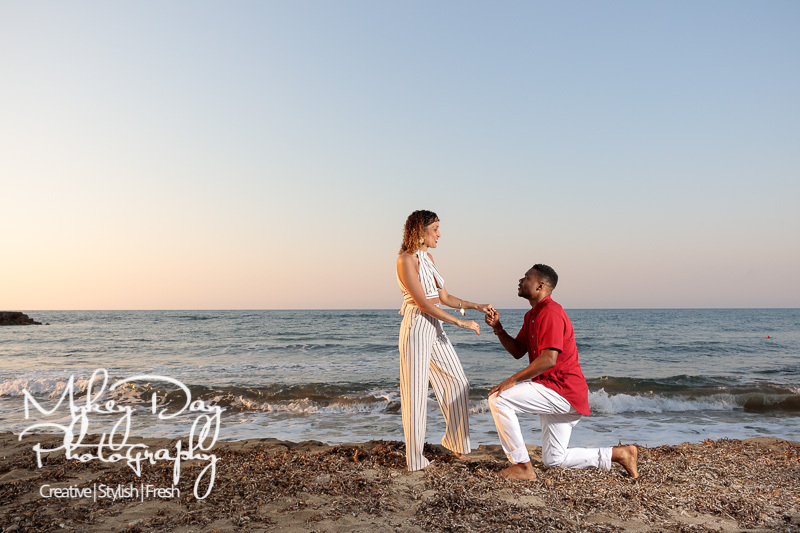 The Elysium Boutique Hotel was the perfect location for a surprise proposal on the beautiful island of Crete, and Denzol had planned the perfect rouse for a unwitting bride-t0-be! 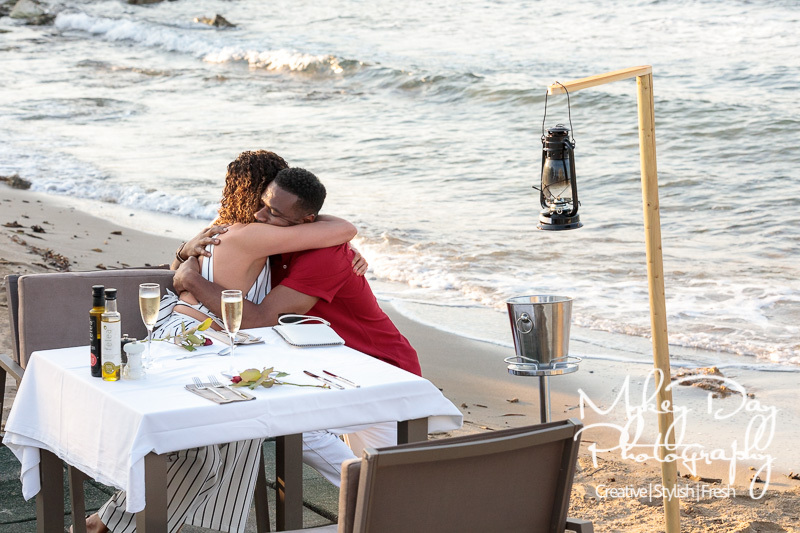 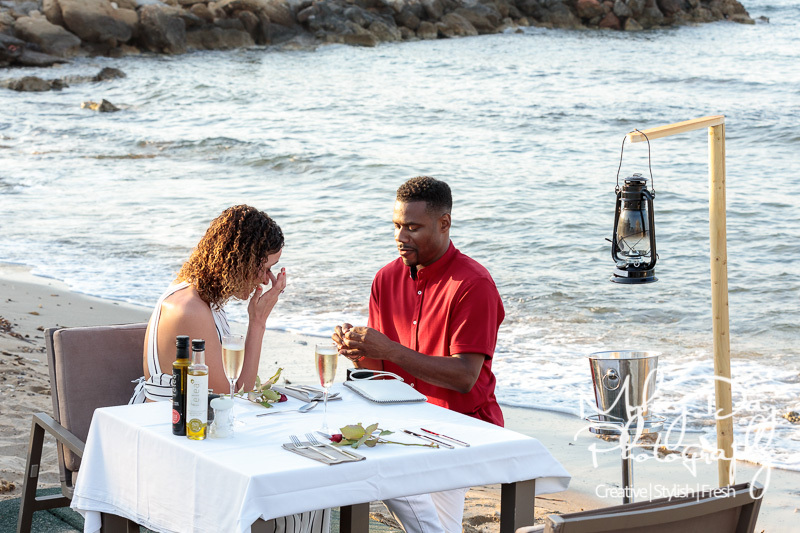 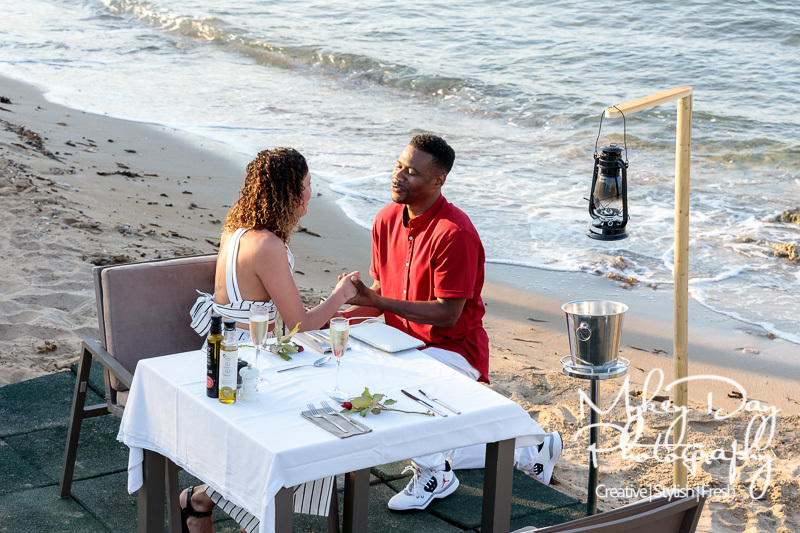 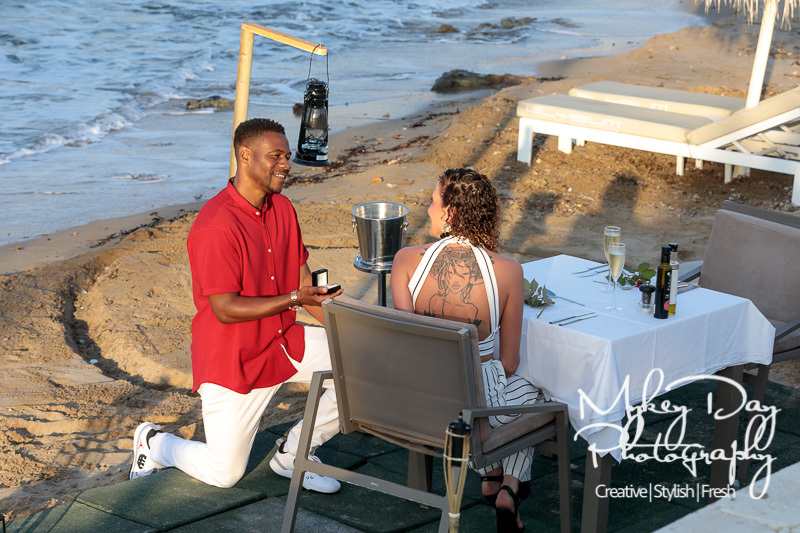 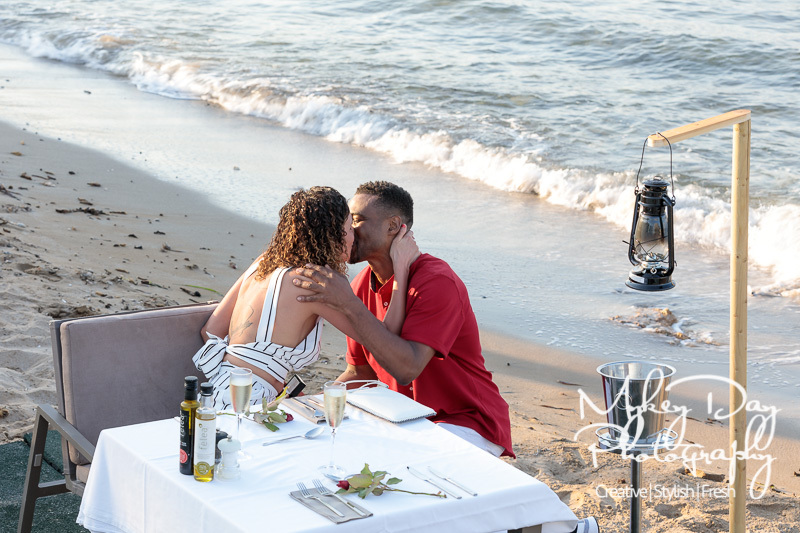 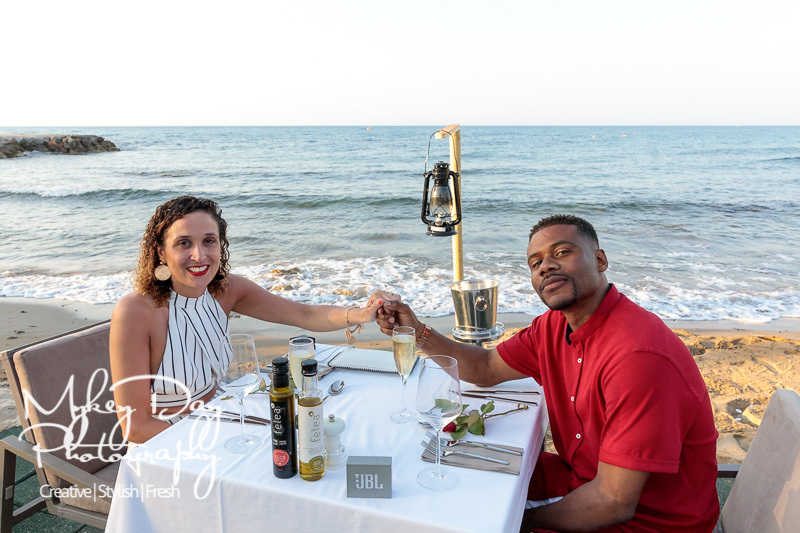 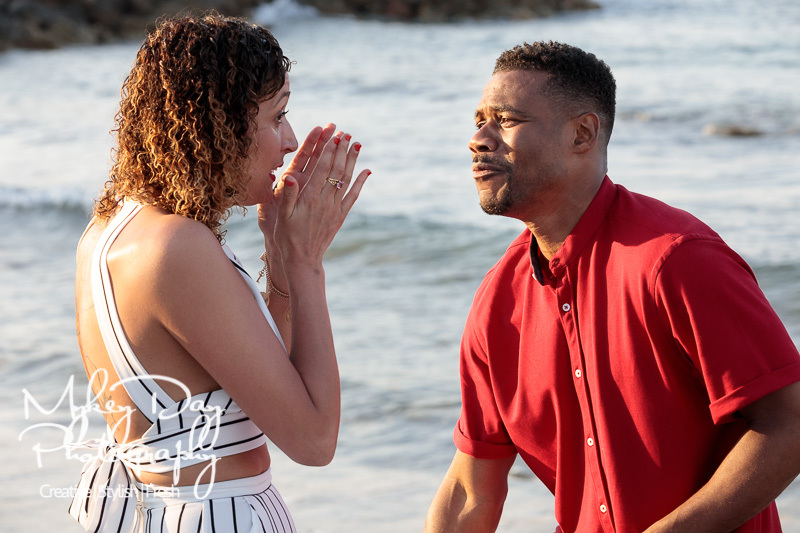 Starting with a decoy fake meeting with a DJ promoter in Malia, Denzol would whisk Priscilla away from the hotel in a taxi so as to allow them to make the preparations for the dinner on the beach – which was to be the stage for the beautiful moment to come! 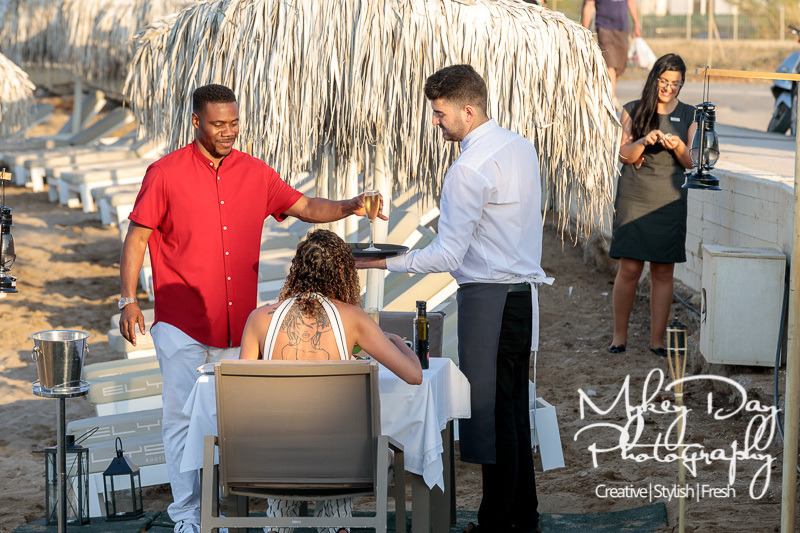 Speaking with Denzol in the morning we arranged with the hotel staff at the Elysium the best time to make the plan come to be, coinciding with the glorious Greek sunset at around 8pm. 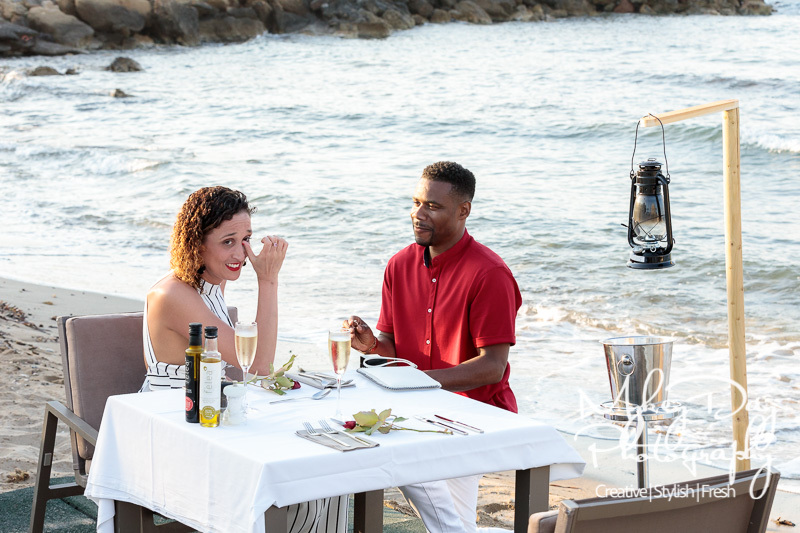 Once in the taxi and the table was arranged, Denzol would pretend that the meeting was cancelled, returning to the hotel once the signal was given! 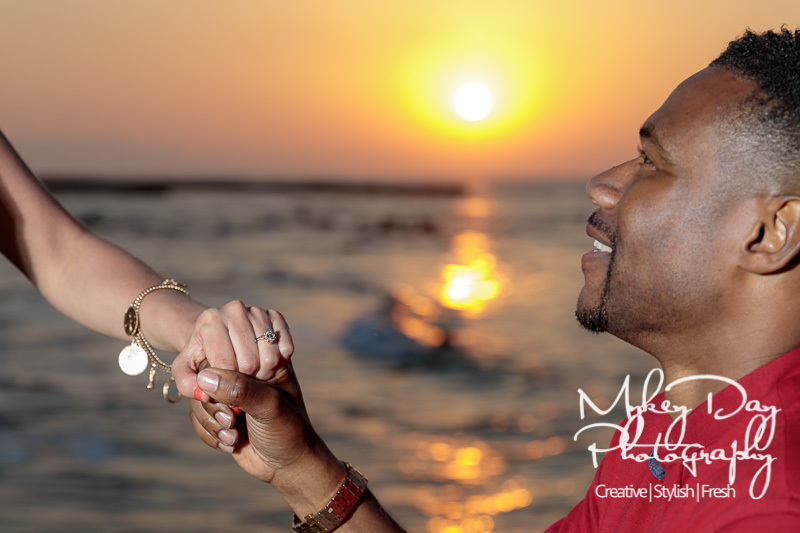 Mykey was on hand as a ‘typical tourist’ taking photos of the coming sunset. 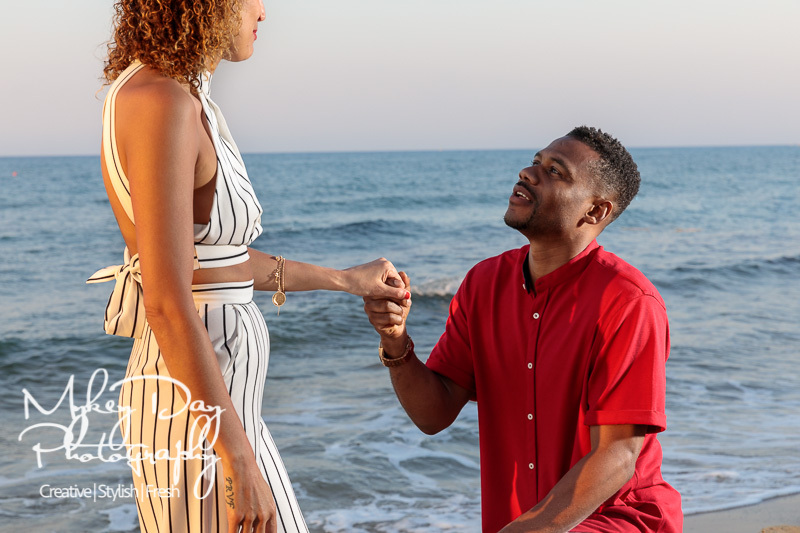 Once the moment was right, Denzol did the proper thing – dropped to once knee after a long speech (which only Denzol and Priscilla will ever know) and the big question was dropped! 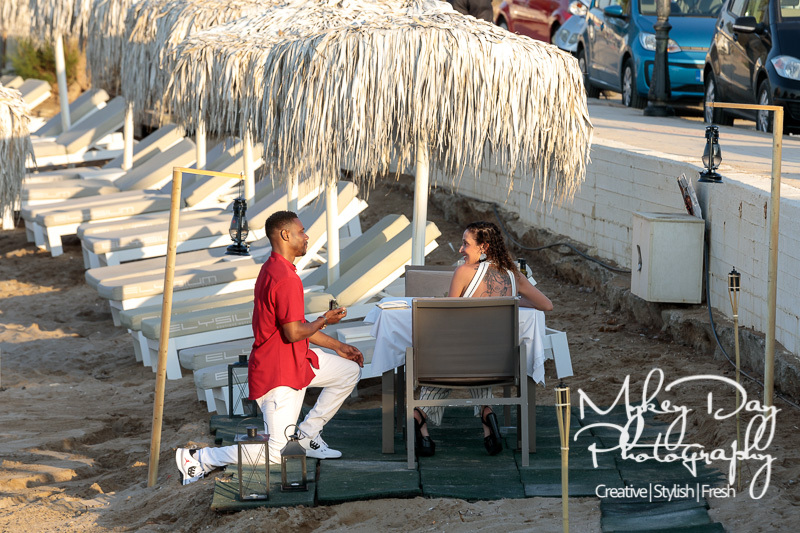 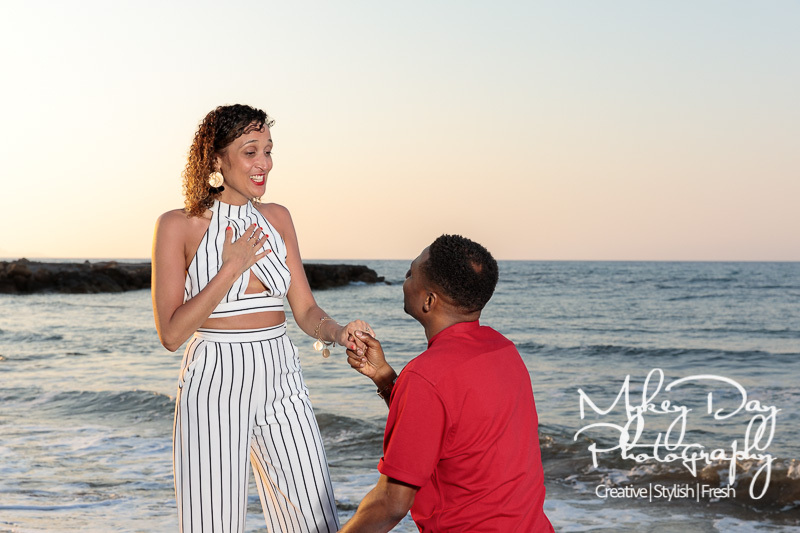 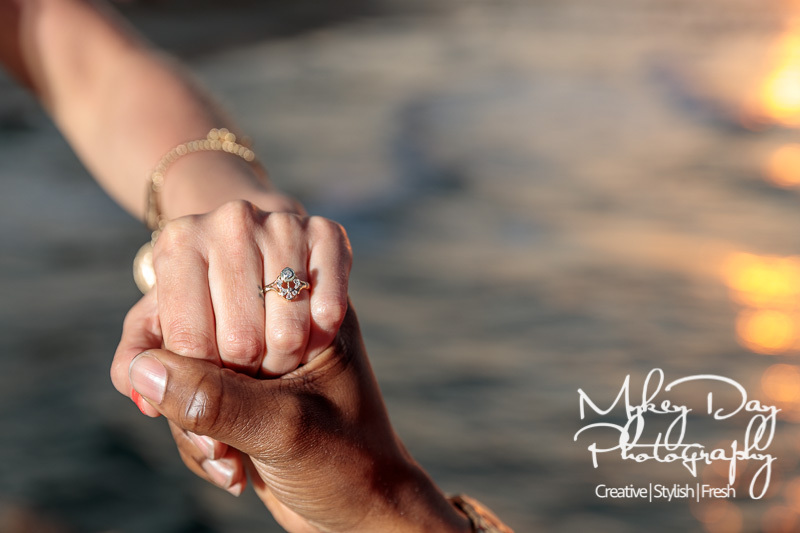 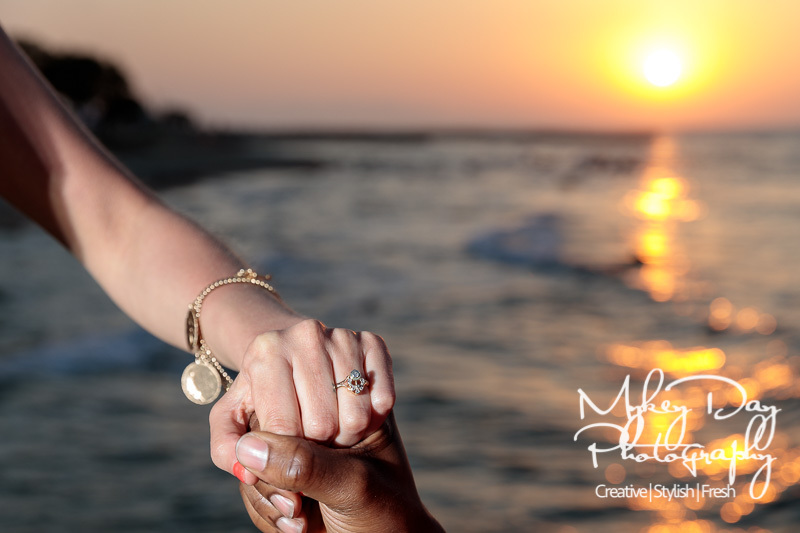 After some candid photos and some crying, we then made the most of the sunset with some beautiful engagement photos – something Mykey has long wanted to make: actual photos of an actual proposal! 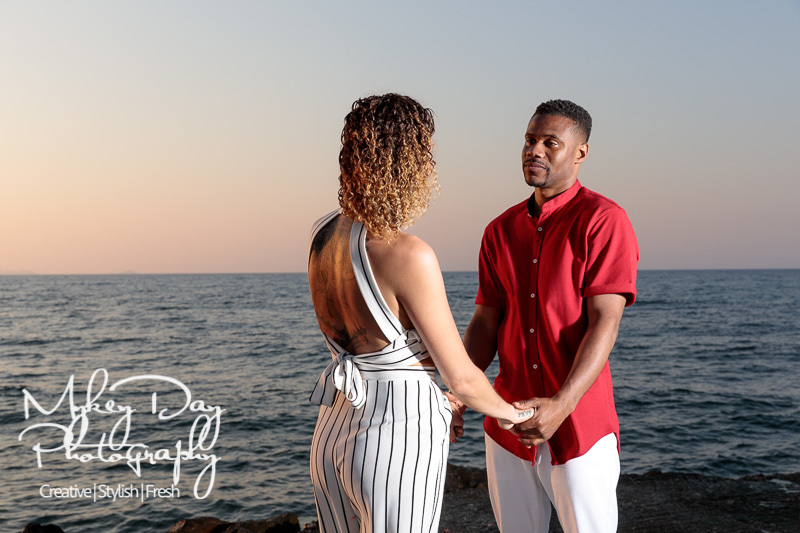 The next day Denzol and Priscilla were kind enough to say how much fun they had with Mykey and explained that he was the only photographer they could now possibly choose for their wedding! 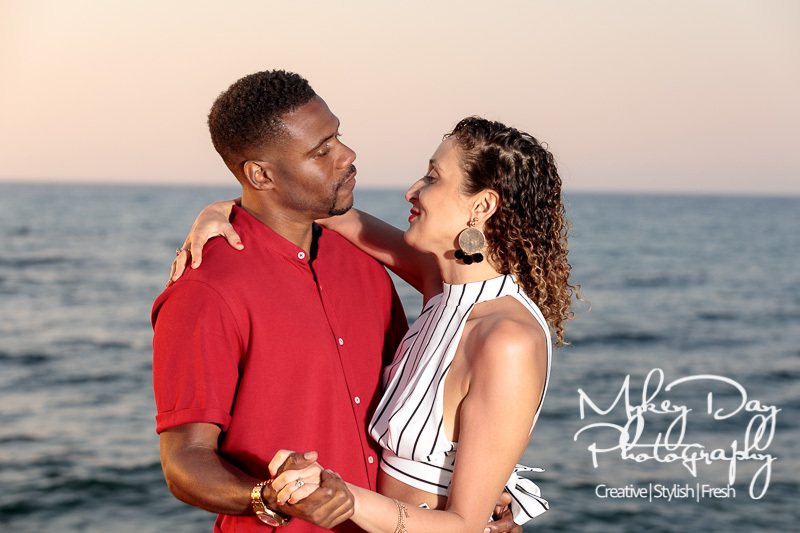 Having only seen a few photos (we quickly edited and got over for their announcement on Facebook) this beautiful married couple-to-be were kind enough to say that these are the ‘wow’ photos that dream weddings are made of! 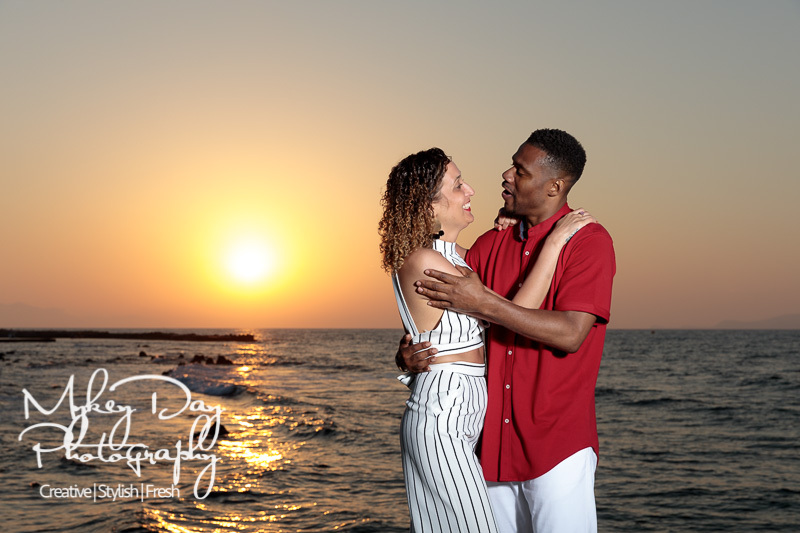 We wish this beautiful couple a lot of love and luck in their lives together, and we’re now excited and looking forward to their big day, possibly almost as much as they are! 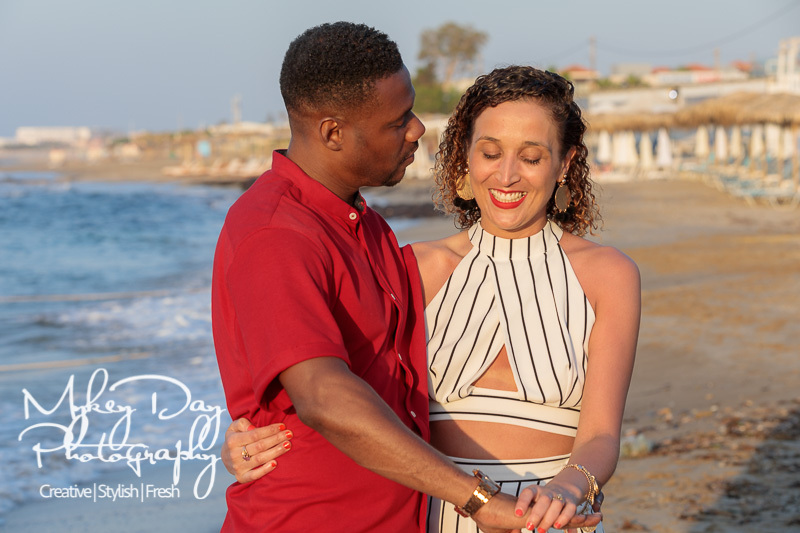 We’ve previously documented weddings for clients in Crete and abroad, and the location of this surprise proposal was less than 200 metres from the Stella Palace Hotel where we captured the story of Holly & Ben’s beautiful wedding in Crete. 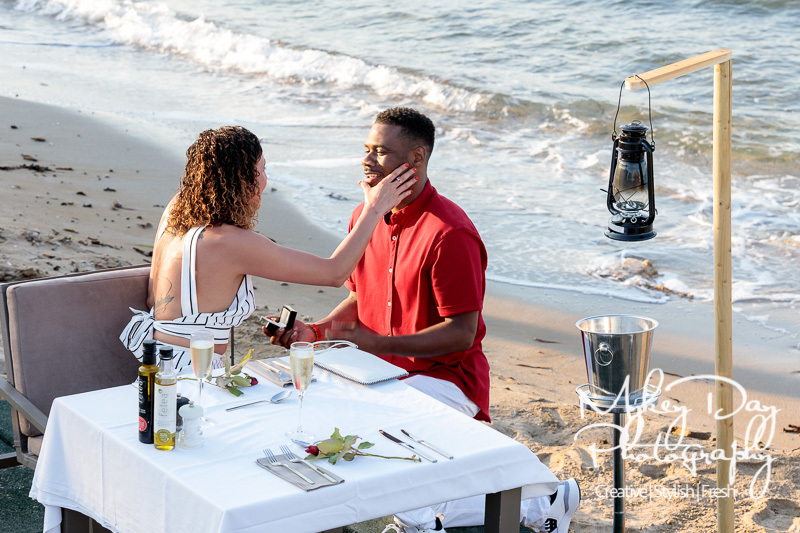 Please see below for our favourites from their wonderful surprise engagement!